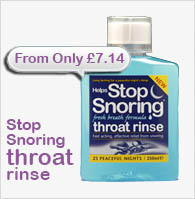 Helps Stop Snoring is available in an easy to use oral spray and now new oral strips. 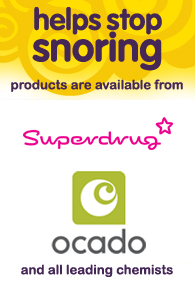 Original Helps Stop Snoring spray is available in both 9ml and 19ml formulations. Just three sprays to the back of the throat last thing at night gets to work immediately, toning the soft tissue and helping to prevent snoring. 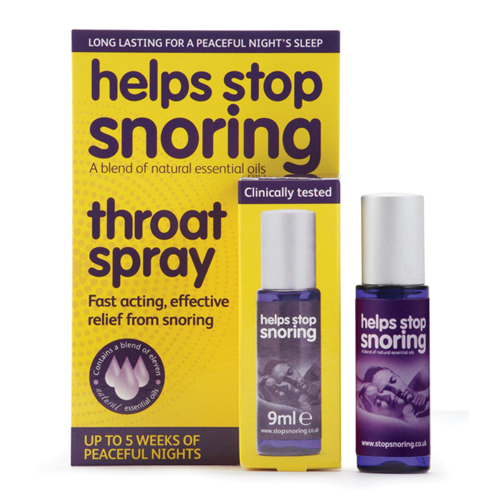 A 9ml bottle of Helps Stop Snoring oral spray is enough to provide three weeks of peaceful nights, whilst a 19ml bottle should last for approximately seven weeks. The new Helps Stop Snoring oral strips contain the same blend of essential oils as the effective throat spray. Placed onto the roof of the mouth, the Oral Strips dissolve into the throat allowing the essential oils to tone the tissues of the soft palette – one of the main causes of snoring. Helps Stop Snoring oral strips come in packets of 16, enough to ensure at least two weeks of uninterrupted sleep.